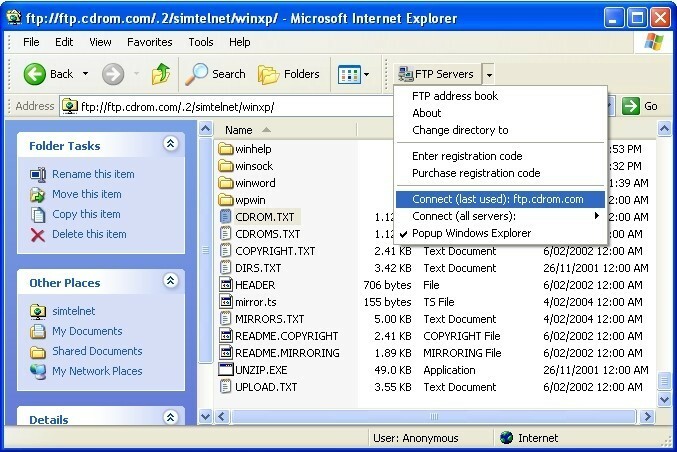 IE FTP Enhancer adds superior FTP features to Internet Explorer. Why use a separate FTP client when an FTP toolbar button can give you all the FTP features you need in the convenience of your web browser. Use a drop down menu on Internet Explorer to easily and quickly connect to all your FTP servers. You can also have IE FTP Enhancer automatically open Windows Explorer at your desired folder path to drag and drop files to and from the FTP server. Using familiar Windows interfaces that you are accustomed to makes FTP fast and simple for beginners or experts.